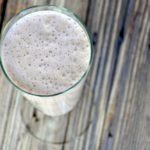 Are you looking for a low carb breakfast idea for St. Patrick’s Day? These Shamrock Fried Eggs are delicious, healthy and a lot of fun for St. Patty’s Day or any day of the year. I love making fun breakfasts for my family on holidays. My husband’s family is Irish, so St. Patrick’s Day has always been a big one for him. We make a big St. Patrick’s Day dinner every year, so I wanted to do something for breakfast this year. 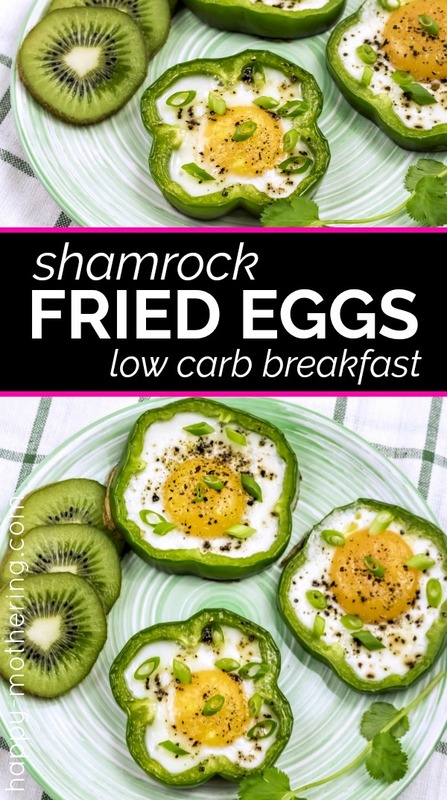 We eat very healthy normally, so I wanted to continue that over into this St. Patrick’s Day low carb breakfast idea. I decided to make these Shamrock Fried Eggs. 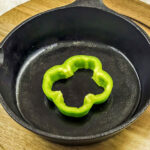 While I used green bell peppers for St. Patty’s Day, you can use any other color bell pepper as well. A colorful mix would be great for a spring brunch or Easter breakfast. 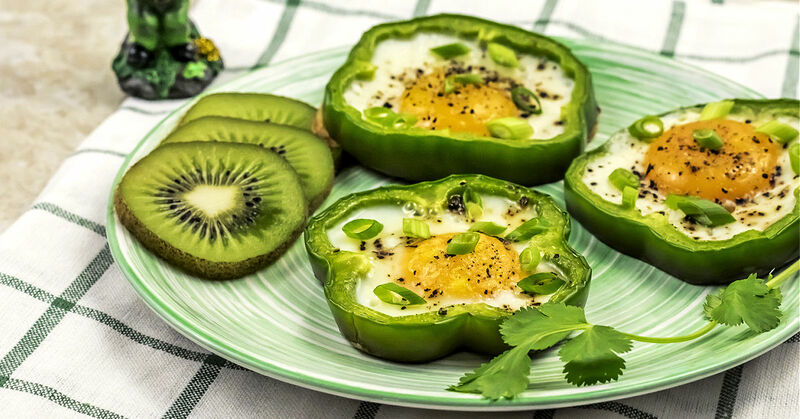 If your kids are normally averse to eating bell peppers, this low carb breakfast can be a fun way to introduce them! I find that kids are open to trying new things when they’re presented in a fun way. I hope your family enjoys these Shamrock Fried Eggs as much as my family! 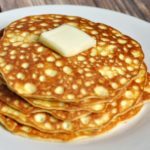 Are you looking for a low carb breakfast idea for St. Patrick's Day? 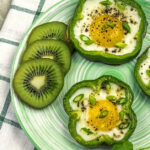 These Shamrock Fried Eggs are delicious, healthy and a lot of fun for St. Patty's Day or any day of the year. Slice the bell peppers into rings that are about 3/4" thick, for a total of 4 rings per bell pepper. Melt half of the butter in a frying pan, preferably cast iron, over medium-high heat. 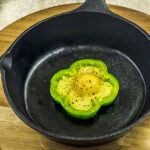 Place 4 of the bell pepper rings in the cast iron pan and turn once, after a minute. 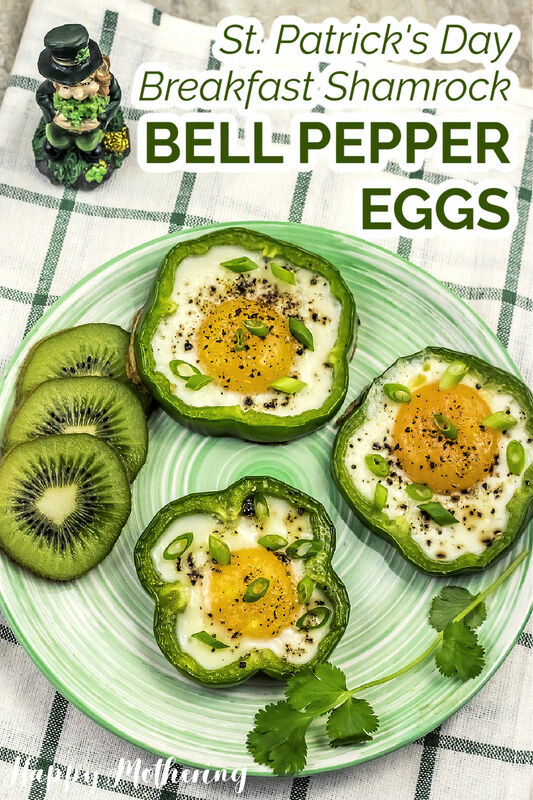 Crack an egg inside each bell pepper ring. Season the egg with sea salt, garlic and pepper. Cover the pan with a lid and cook until the white is set and the yolk reaches your desired doneness. It should take about 3-5 minutes. 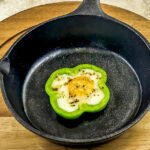 Remove the shamrock fried egg from the pan and serve while hot. I like to top mine with Cholula Green Pepper Sauce! Repeat with the remaining tablespoon of butter, 4 bell pepper rings and eggs. 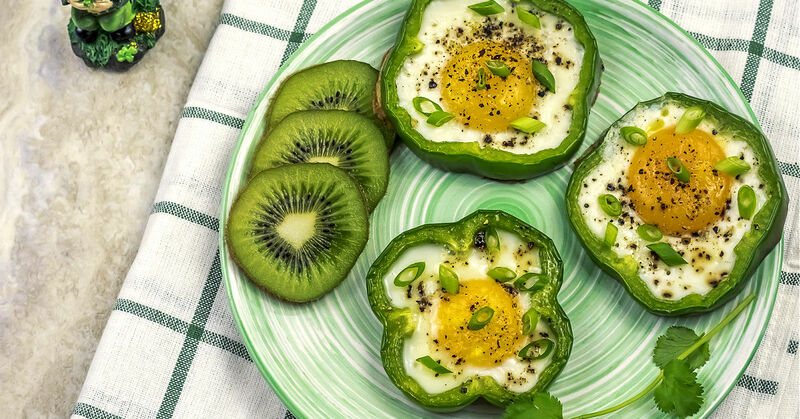 Now the whole family can enjoy a fun St. Patrick's Day low carb breakfast together that's fun and healthy. What other low carb breakfast ideas do you love? 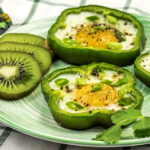 Pin this low carb breakfast recipe to your low carb, breakfast or St. Patty’s Day boards!